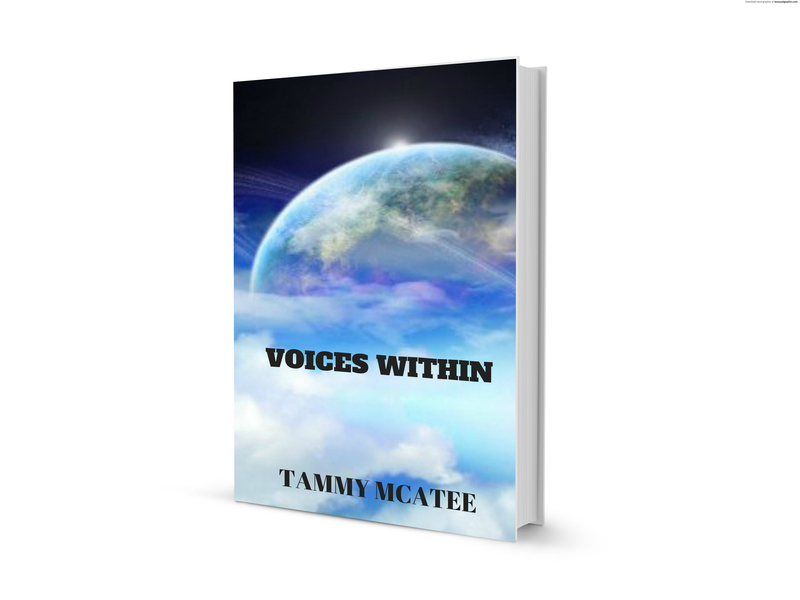 Author Tammy McAtee of "Voices Within" a Spiritual Novel | "Close Your Eyes for a Second Chance"
I am seeking an agent for this unpublished novel. I look forward to your comments about the summary and excerpt. Please help spread the word, and with your help, this novel will be published. There are lists of the major stresses in life. I have personally experienced some of those in the last few years. You can embrace those changes, call them a new chapter, new beginning, or a new adventure, like I have, or you can be like “Willow”, and fight the changes and the new path before you. When her father disappears and the authorities state there is no evidence of foul play, she is told to accept and go on with her life, she can’t. Being run down by a van and put into a coma is the only way she will listen. But even then, the voice within, calm and gentle, not hearing what she wants to hear, she angrily states, go away and leave me alone, and it does. Afraid to be alone, she cries out, please come back, and silence greets her. “Mabel”, a wise elderly black woman, holds Willow’s hand in the hospital room and comforts Willow when she feels alone and afraid. Mabel tells stories of her life, sharing difficulties with being a single mother, a cheating husband in her marriage, her family, and struggling with her beliefs. This is a novel that focuses on two women, one who is young and feels lost, and another who has found her way. I hope that Willow’s journey will inspire you, as you share her story. Though fiction, she asks many questions of the voice within on such topics as trust, limitations, letting go, life is balance, forgiveness, choices, and dreams, that you too may have thought about and seek answers for. An excerpt is available under the Excerpt tab.